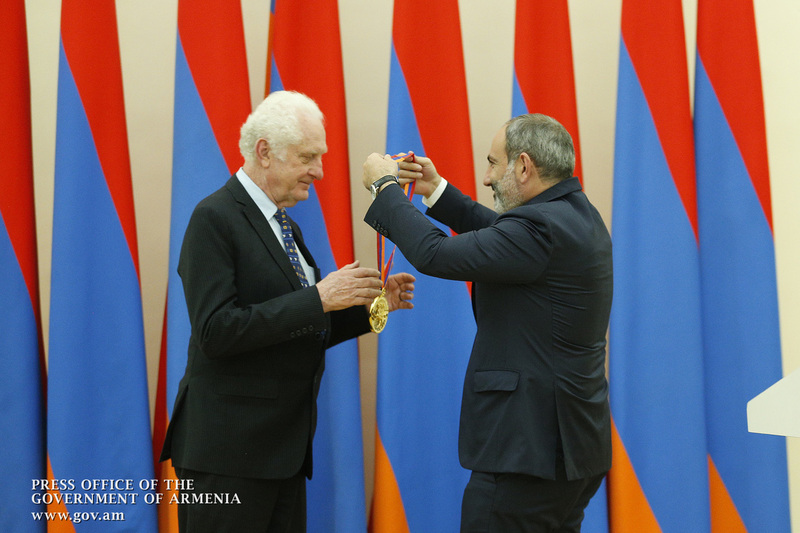 Today, a solemn ceremony was held to award the State Prize of the Republic of Armenia for global contribution in the field of information technologies. 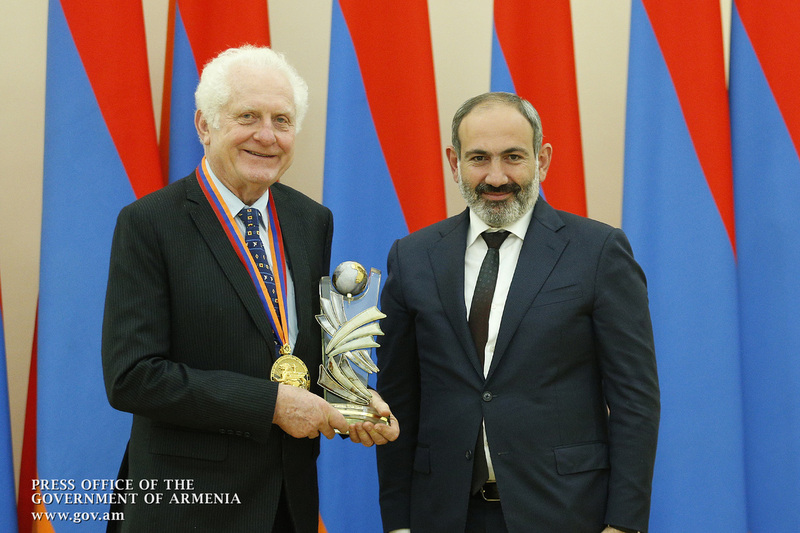 The Acting Prime Minister of Armenia handed the award to National Instruments Co-Founder and President James Truchard. 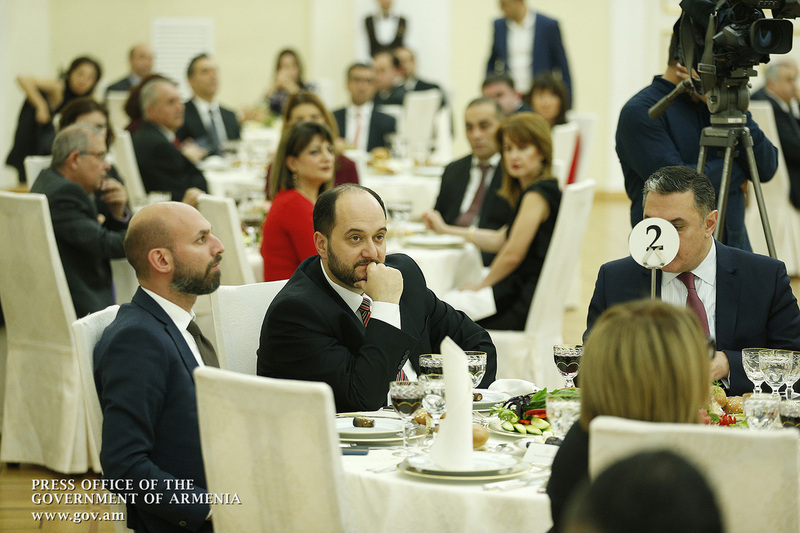 Nikol Pashinyan delivered a speech at the reception held in the Laureate’s honor. Today, the State Prize of the Republic of Armenia for global contribution in the field of information technologies is being awarded to Co-founder and President of National Instruments James Truchard – a man who with his innovations has played a crucial role in the development and dissemination of information technology worldwide. 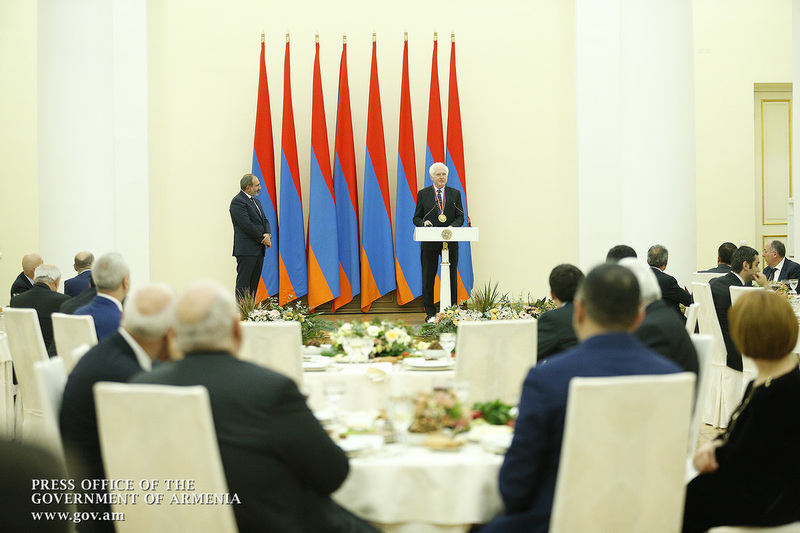 New technologies are what I would call a historical chance for us to take since we are heading for an economic revolution in Armenia. It is also a challenge for all those who want to keep up with the progress of humanity. 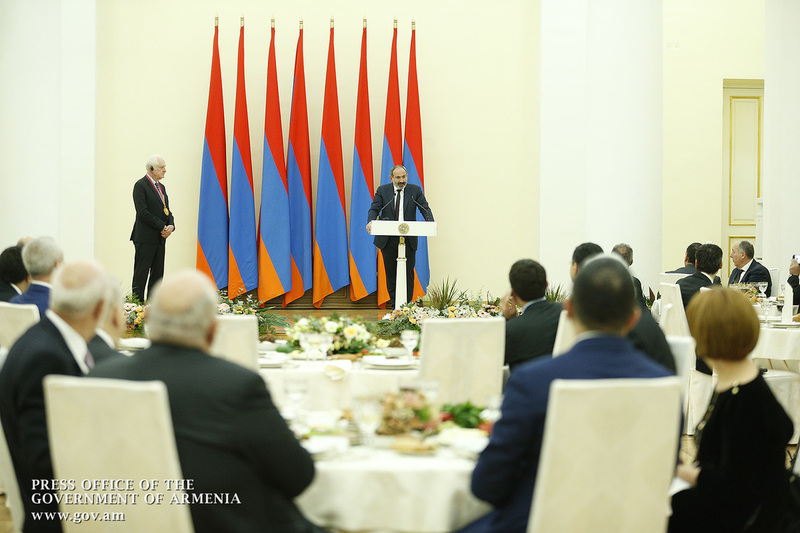 This sphere is of strategic importance for Armenia and the Armenian people. First of all, given the fact that we live in a complicated geopolitical area, information technology seems to be a virtual connection that ensures our uninterrupted communication with the outside world, as well as economic growth and development. The IT industry is a type of activity that can be developed without any ports, access to the sea and rich subsoil. 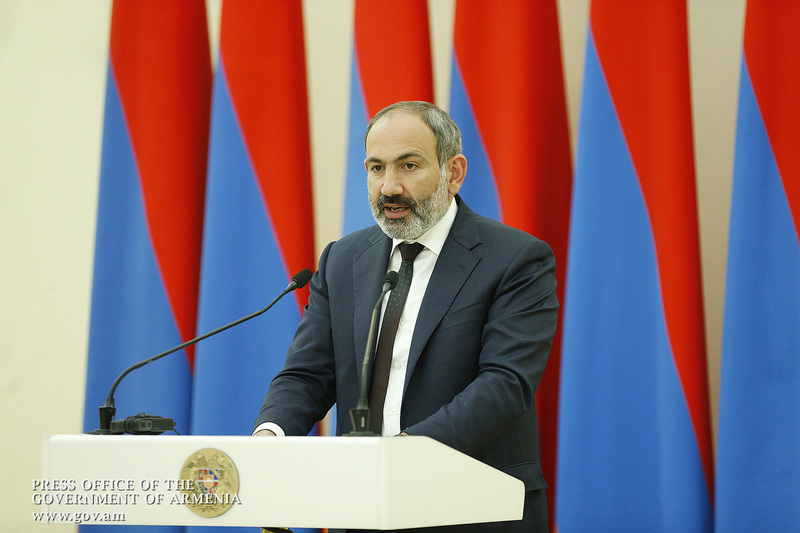 Human capital is all we need to that effect, and this is just the resource Armenia has always had. We are not only pleased with this new opportunity, but we should do everything possible to get the most out it. 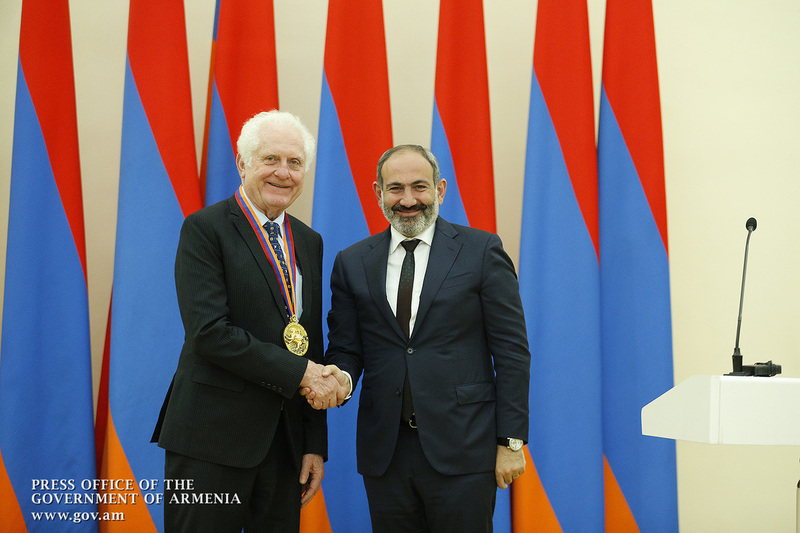 This is why I do believe that one of our new government’s priorities is to convert Armenia from an agrarian, mining country into a technological country. Meanwhile, I do not mean that we need not develop agriculture and mining. On the contrary, we need to develop and use information technologies, innovative approaches in order to upgrade agriculture and mining industry to a new level. We must make a better use of innovative solutions as we wish to ease the burden of our working citizens and improve product quality and efficiency. What has been done and is being done in the field of information technology in the modern world cannot be called anything other than a revolution. We are revolutionaries, and we understand revolution as abrupt progress, non-standard solutions, innovations, as well as the rejuvenation of life and work style. I cordially congratulate you on being awarded this State prize. 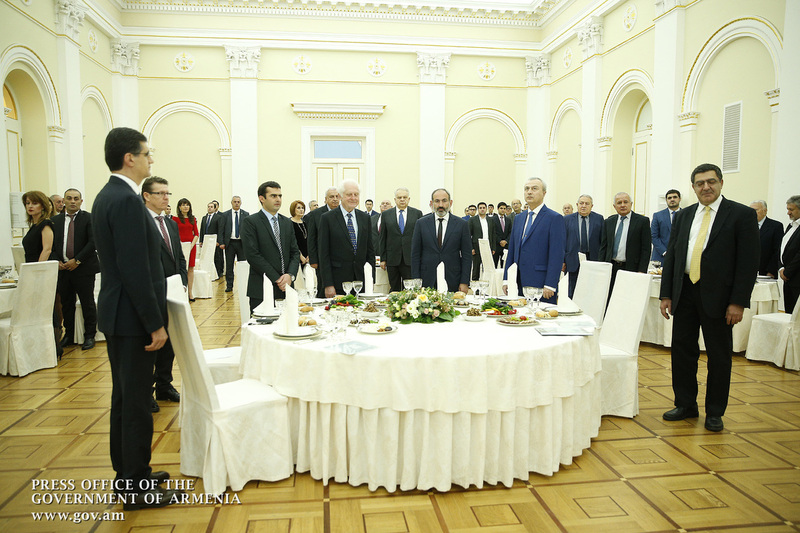 Our joint efforts have than ten years of history. 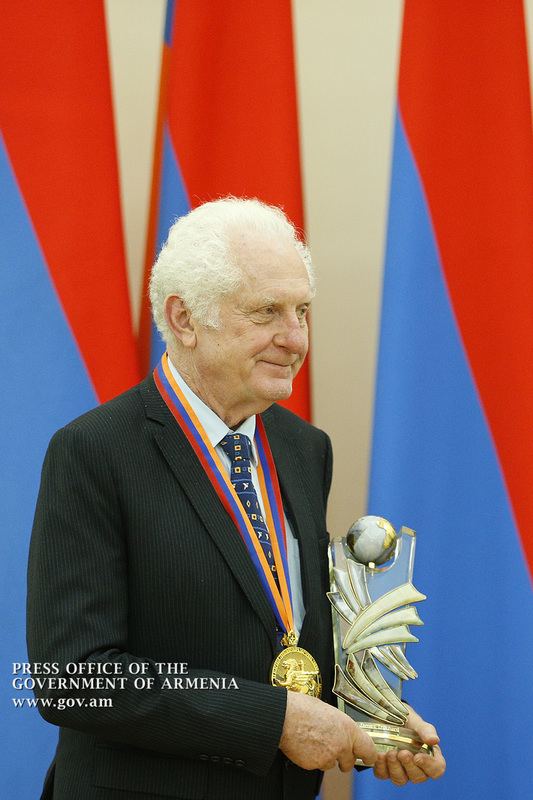 During this time, you were able to make a valuable contribution to the development of the sphere in our country through the Armenia office of National Instruments,, and gave young professionals the opportunity to get involved in the international market. 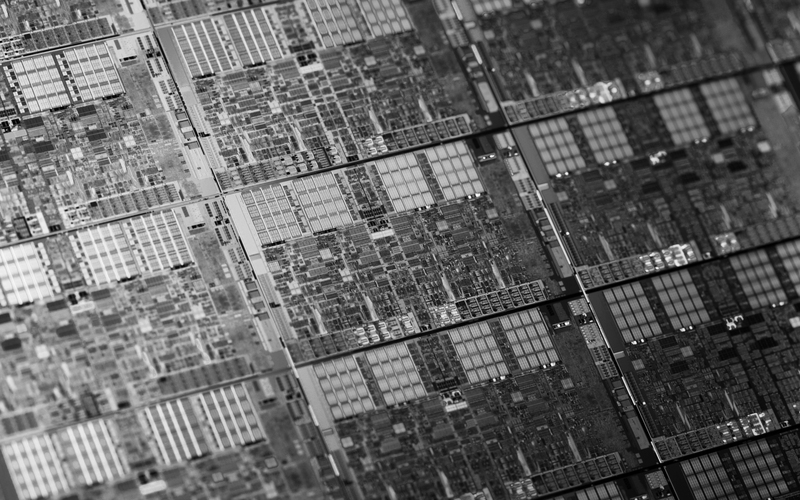 We consider you to be our ally in the common cause of making the world smarter, stronger and more innovative. 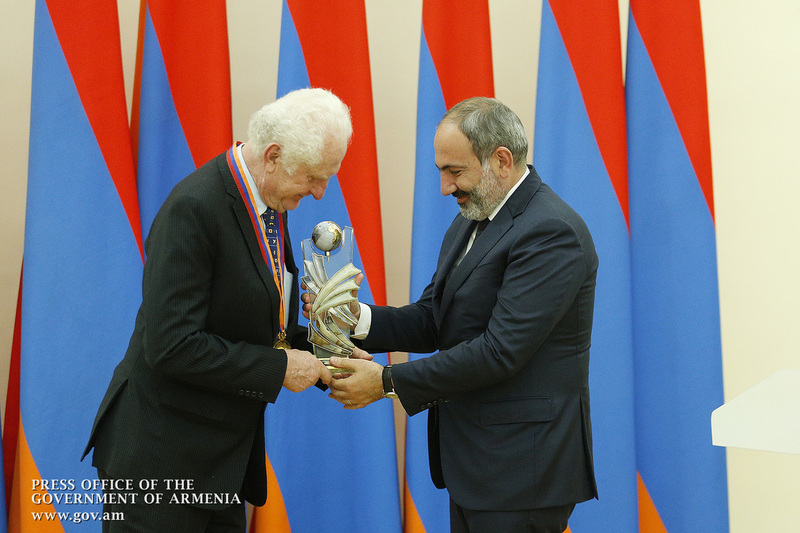 With this award, we also want to show young people what an individual should be like in the modern world and what ideals should be followed. With this award, we also want to appreciate your contribution and laud your deeds. Even if you don’t need it, we need it. We are a society that appreciates the work and contribution of a person, especially the great contribution of a great man. 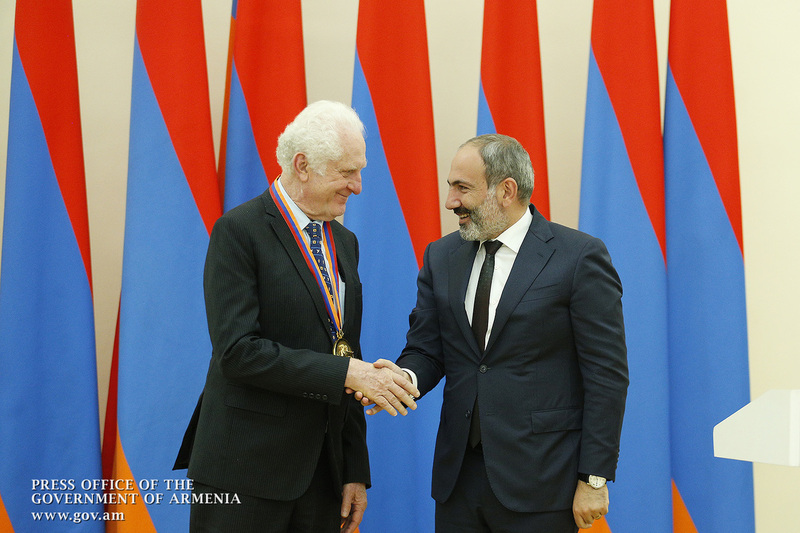 It is an honor for us to welcome you to our country and enjoy your presence. 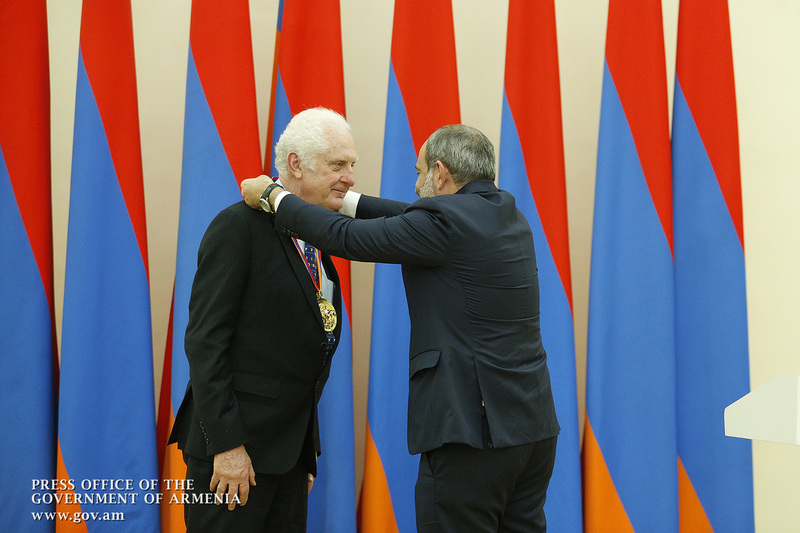 Once again, I congratulate you on being awarded this prize and wish you every success in your valuable efforts. 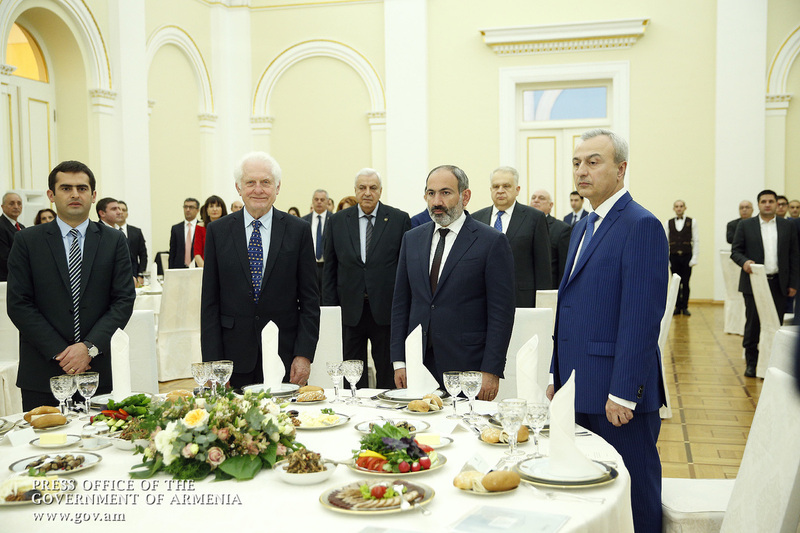 I know that this is not your first ever visit to Armenia, and let me express the hope that it will not be the last one. 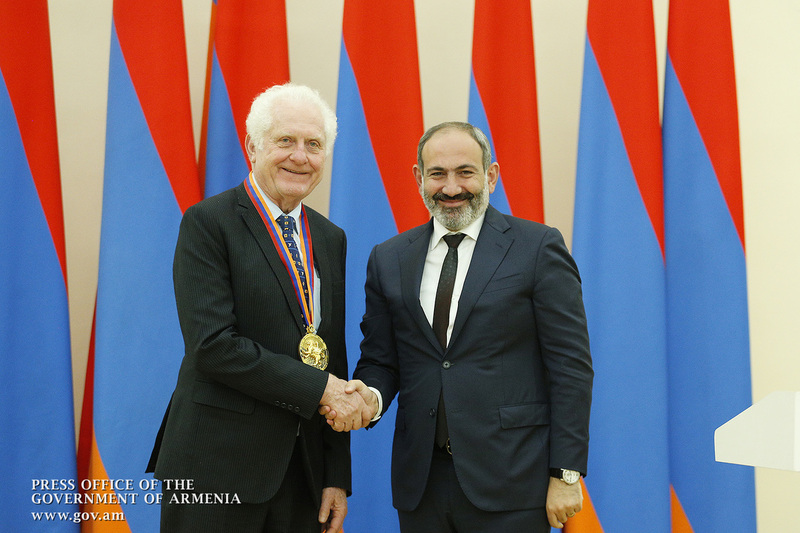 Thanking Acting Prime Minister Nikol Pashinyan for high appreciation and kind remarks, James Truchard noted that it was a great honor for him to get the State Prize of the Republic of Armenia for global contribution in the field of information technologies. 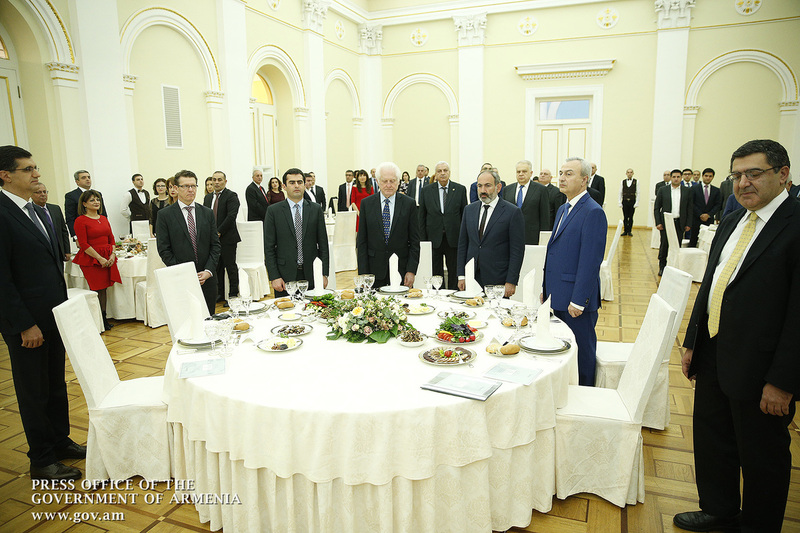 He introduced his company’s activities, highlighting National Instruments’ operations and joint projects in Armenia. 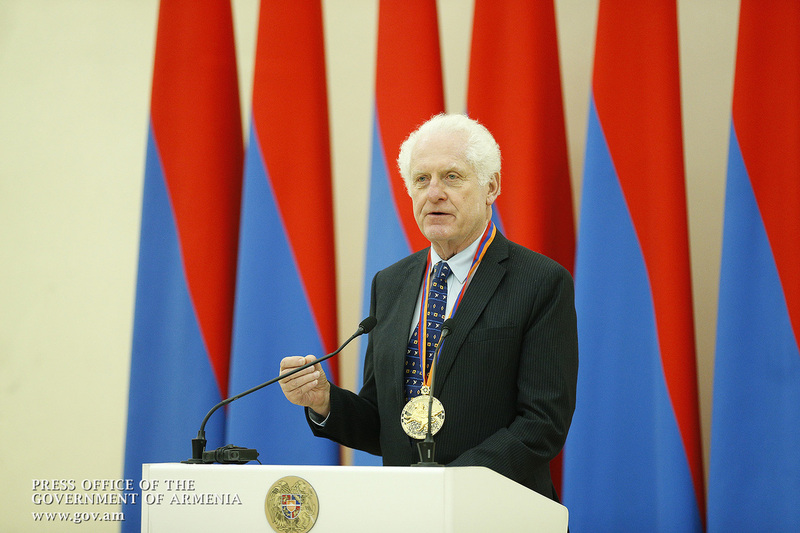 James Truchard stressed that several large IT companies are currently working in Armenia, and expressed conviction that they would gradually increase in number considering the steps taken by the Government in the field of industrial development. 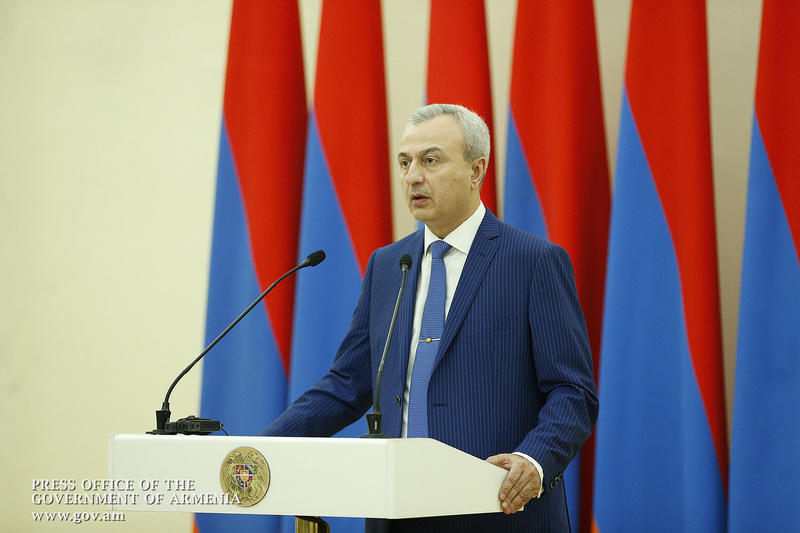 In his speech, he touched on the role of education in the development of information and high technologies, emphasizing its importance and the need for doing consistent work specifically as regards the training of highly qualified engineers.